Daniel Silverman graduated from The George Washington University in 2005 and earned his J.D. from Rutgers-Camden School of Law in 2008. While in law school, he was awarded a Governor's Executive Fellowship by the Rutgers Eagleton Institute of Politics, an interdisciplinary fellowship that provides select Rutgers graduate students the opportunity to further their understanding of government, public affairs and the practice of politics, as well as to connect the fellowship experience to their chosen fields of study. 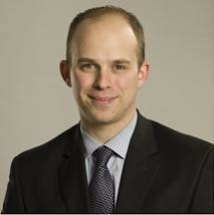 Dan has been with the firm since 2010 and has devoted his practice primarily to employment litigation since that time. He conducts all aspects of litigation including trial. Prior to joining the firm, Dan clerked for the Honorable John E. Harrington, J.S.C. in Burlington County, New Jersey. He also practiced insurance litigation at a large law firm in Philadelphia, where he concentrated his practice on the investigation of fraudulent insurance claims. Dan brings to the firm practical experience and a lifelong commitment to equality. He is an active member of the New Jersey Association for Justice. Dan resides in South Jersey with his wife, daughter and rescued German Shepherd and Doberman. He is licensed to practice law in New Jersey and Pennsylvania.